When you have a dog, cat, or other animal, you want to make sure they see the very best veterinarian available. However, it can be challenging to find the right provider. Your pet is part of your family, and they deserve incredible care. 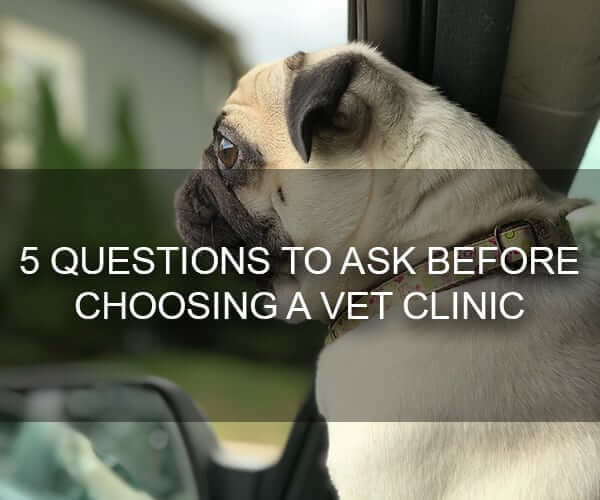 Here are some questions to ask as you select a West Little Rock vet clinic. What’s the Wait Time for an Appointment? If you have a concern about your dog or cat, you want to be sure you can get them in to the vet in a reasonable amount of time. If you have to wait weeks before your pet can be seen, you may want to choose another provider. At the same time, a clinic who can get your pet in for a non-emergency visit on the same day – every time – is probably not very busy. You want to be careful about that, since you want to choose a West Little Rock vet clinic that’s going to be around for a while! How Do You Respond to Pet Emergencies? Not every vet clinic is an emergency center, and that’s OK. What’s not OK is if the clinic doesn’t have a clear procedure to handle emergencies. If the West Little Rock vet clinic you’re considering has emergency care in-house, that’s obviously a big bonus. But if they don’t, find out who they refer folks to and whether they can transfer a pet directly if an emergency comes up at the clinic. Knowing what a vet clinic can do for your animal is vital. A clinic may specialize in only routine care, and send pets to other providers for surgery or other work. Choosing a West Little Rock vet clinic that can do a lot of treatment in-house will save you both time and money. You should look for a provider that can do surgery, dental treatments, and other common procedures. You may also be interested in finding a veterinarian that offers boarding and grooming. When you can do everything at one place – with a staff that really knows your animal – you can have a lot more peace of mind. What do other people think of this veterinarian? Don’t just take the clinic’s word for it – find out by searching online. While there will always be negative reviews, you should choose a vet clinic that has generally positive feedback. You can also check a veterinarian out on the Better Business Bureau website. Some smaller clinics may not be listed, larger ones should be. Be sure your clinic has an A+ rating! Can I Bring My Pet to Your West Little Rock Vet Clinic? Sometimes the only way to know if you’re comfortable with a West Little Rock vet clinic is to bring your animal in for a checkup. You’ll get to experience the staff, the wait times, and the expertise of the doctors. We’d love for you to bring your furry friend to the Bowman Road Animal Clinic. We have a full suite of services, excellent reviews, and years of experience. Contact us today to experience the Bowman Clinic difference!